An and her team are passionate, friendly and informative. I was provided information that helped me to execute the best decision. 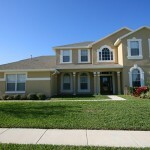 My home took several months to sell because of foreclosed homes in my community. An had a variety of different interests viewing my home. Some for investment purposes and others to live in. Eventually, my home was sold at the asking price. An Flamand and her team were helpful in finding our perfect vacation home. She knew the area very well and helped find a perfect fit for our family. She went above and beyond to help in every was possible to make our home our own. The Staff always made us feel like family and we’re grateful for their patience. We look forward to a long relationship with them and will use them for our next purchase. I’m not easy to impress but I was very pleased with An (and her team) from start to finish on our villa purchase. Nothing was too much trouble and she was extremely generous with her time and displayed tremendous patience in understanding my concerns and responding to my questions. An carefully explained the process at the outset and took care of everything at each stage as she promised she would. Now that the purchase is complete, I look forward to working with An as my management agent going forward and I would not even consider using anyone else as a realtor for any future purchase. If you are looking for a knowledgeable, caring, friendly, outgoing realtor, please contact An Flamand! You will be very satisfied with her help in regards to purchasing a home!!! I was 100% satisfied and am extremely happy with her and her company! Here’s why: An is the best realtor I’ve ever had dealings with. When I was looking for a home to live in, An found the perfect home for me based on the criteria I provided to her. It was in a quiet neighborhood, with a good with a good size backyard, was within my budget, and was exactly the home for me. 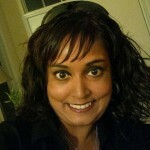 It was great that I could count on her expertise of the area as I was a first time home buyer. She guided me through the whole buying process and was very helpful and professional. She had so much expertise & knowledge as well as attention to detail exceeds other realtors in the area. 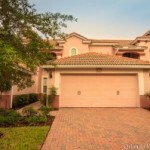 I would definitely recommend An Flamand to any home buyer or seller in the Orlando area. Thanks An! 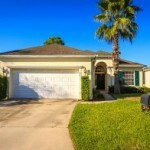 When we decided it was time to sell our vacation home in Kissimmee our CPA advised us to talk to An. It was without doubt the best advice we could have been given. 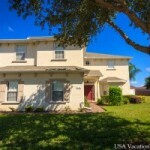 When you are several thousand miles away you look for an approachable, hardworking, honest and highly motivated realtor who will keep you informed of all developments and make the whole process easy for you, and that is exactly what we got with An. She looked after us every step of the way and made us feel as though we were her only clients, we could not have asked for more. 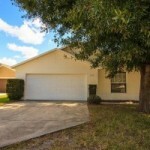 an came highly recommended to us and we would happily pass on that same high recommendation to any one who is looking to buy, sell or invest in property in the Orlando area. An is quite definitely a person who you can rely on to do her best for you. n’t recommend her highly enough. When buying or selling a property which is thousands of miles away I need someone who is trustworthy, knowledgeable and experienced. An excels in all of these areas. I live in the UK and An has always been available to the state of the market and inform me regularly on progress both when buying and selling homes.